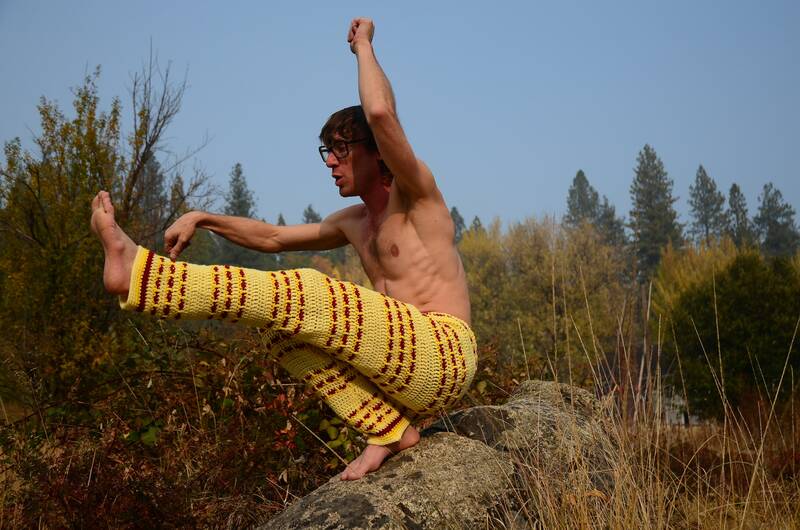 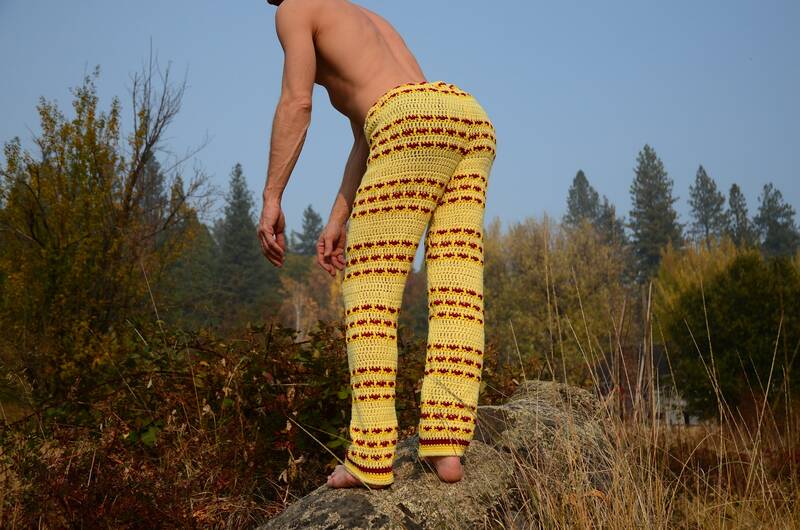 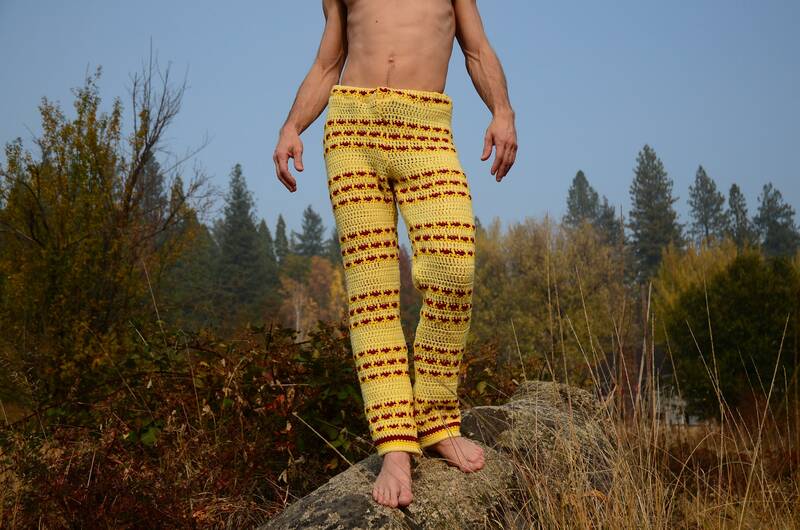 These are crochet pants with fitted legs and cool retro red stripes. 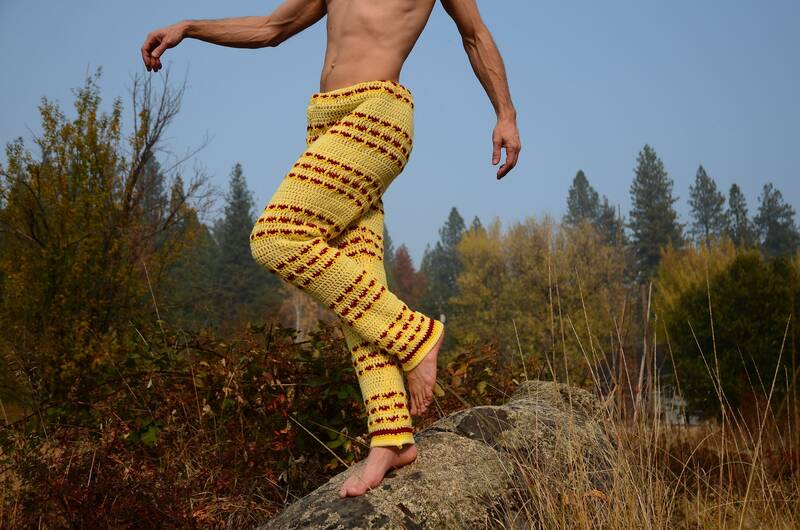 Fashioned from a vintage afghan blanket crocheted in acrylic yarn. 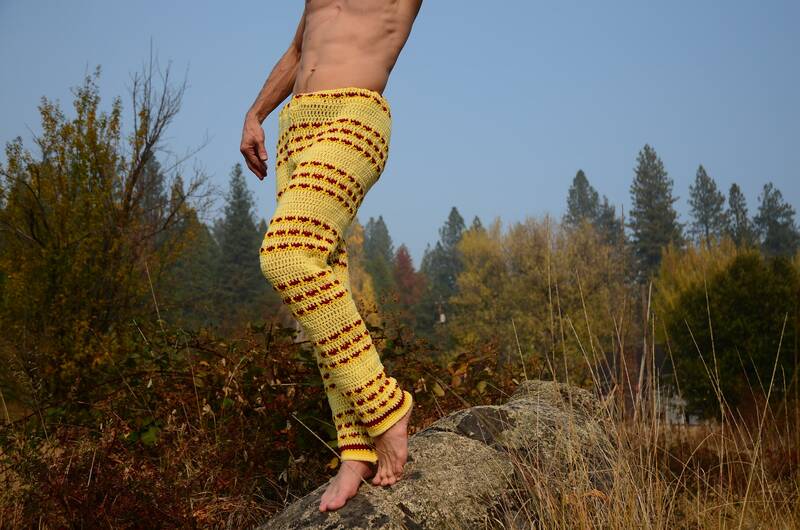 These M/L pants fit best on a 32-35 waist, with a lot of stretch in the crochet. 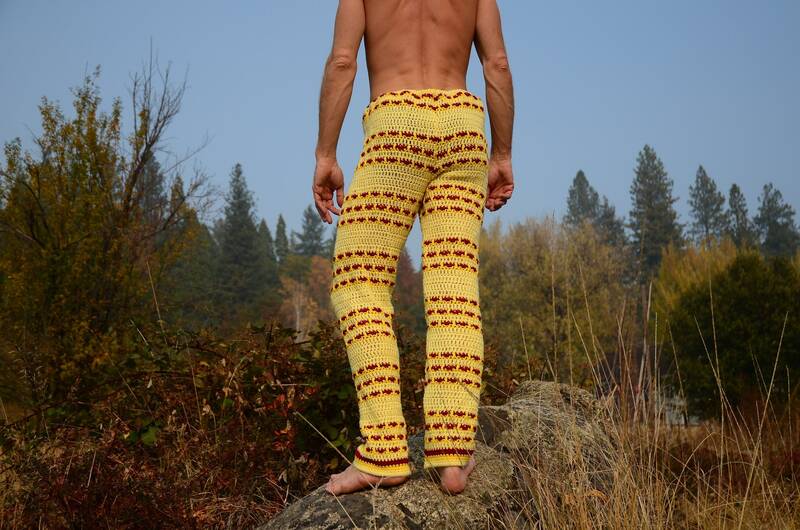 Really soft and comfortable, .